The Parkland Survivors: How are they Revealing the Future of Fraternity & Sorority? On February 14th, 2018 a young man entered a high school in Parkland, Florida, pulled out an AR-15, and turned Valentine’s Day afternoon into a horrifying murder of 17 students. This happened over a month ago and yet remains one of the top news stories across America today. I’m not here to get into the debate about gun control, as the Internet offers no shortage of opportunities for that. Rather, this is an opportunity to think more about how vocal the Parkland students have been since (seriously, just read this or Google “Parkland students” if you haven’t seen the nonstop activity) and how it impacts our fraternity & sorority work. Move over millennials: there is a new wave of students arriving on campus. If you need to brush up on your Gen Z knowledge, check this out. Gen Z is inserting themselves into a complicated problem. Our team’s research on Gen Z has shown these students want to harness the newest technology and target larger scale issues, most importantly those involving safety. 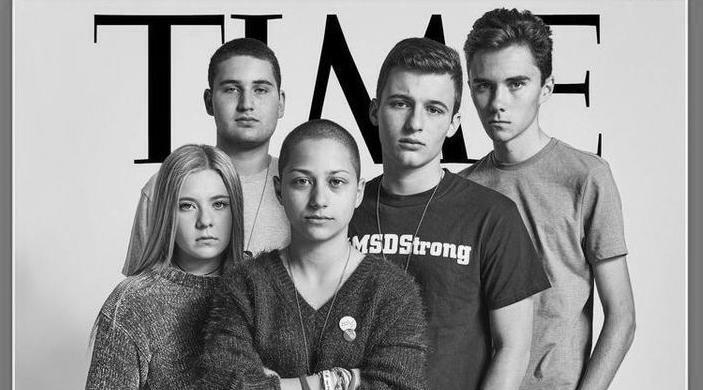 While plenty of millennials have talked about changing mass shootings and other major issues, Gen Z stands the greatest chance of doing the work. They are aware of this, and regardless of how messy this particular issue is–they’re diving right in. They’ve grown up during a period where mass shootings have become so normalized, that they’re simply unwilling to sit back any longer. Gen Z is relentlessly driven. First of all, they’re all over social media and unafraid of expressing their opinions to anyone. But their relentlessness goes far beyond a keyboard. These kids have already set up a march, rallied their peers nationally, built apps to attempt to counter the problem, and are traveling to their state capital, major media headquarters, and even DC to seek action. Are they getting help from older generations to do these things? Of course. But, Gen Z is keeping their foot on the gas pedal. And they don’t appear to be letting up anytime soon. Gen Z seems to have abandoned the “lazy and entitled” stereotype of the previous generation and flipped the pendulum to being a driven and relentless group of young people. Gen Z is polarizing. While Parkland students have inspired millions of people, there’s no denying they’ve done plenty to alienate those who disagree with them. They have bragged about blowing off meetings with leaders they don’t like, use occasionally biting language to combat their adversaries, and carry themselves with the same swagger as personalities that have worked for decades to get where they are. These students have built a platform to invite plenty of attention, and appear to be OK with being hated or disliked by some if it helps them be ignored by less. My personal opinion on this is that the students aren’t intentionally looking to anger people. Rather, they are incredibly passionate about safety and fear that being more calm may lead to inaction. OK, so what the heck does this have to do with fraternity & sorority life? First things first, I think it’s important to realize that less than a month ago, these were “normal” students attending a “normal” school, with many headed to pursue a “normal” college experience. In other words, these are students arriving at our campuses and eligible to join our fraternities and sororities. While it’s uncertain how exactly this will affect our industry’s future, it’s hard to imagine things not being different. Let’s go back to the above thoughts on Gen Z, and consider how we can adapt our strategies to recruit and develop them. Gen Z is inserting themselves into a complicated problem. Hmmm, this one sounds a little bit familiar. Conversations about Greek life these days are not significantly different to those of mass shootings (multiple sources causing unnecessary death, our society’s approach to masculinity, an urgent desire for change but worry of how it can be enforced). The difference? In my opinion, most Greek students are not empowered to understand the full problem and be a part of the solution until if/when they’re initiated, or if/when they obtain a leadership position. Our problems are often sheltered from our newest talent until they are proven to be loyal and committed. What would it look like if we empowered our newest members to help us solve our problems, instead of doing our best to hide them until after they get fully involved? Gen Z is relentlessly driven. This one is interesting because of how often we complain about apathy in our organizations. If there’s one thing all sides can agree on about Parkland’s survivors, it’s that they’re pretty much the opposite of apathetic. This makes me wonder if we’re actively searching for our newest members’ passions, or merely just hoping we can impress them enough so they align with ours (then complaining when they stop showing up). What would happen if we built the fraternity & sorority experience around our new members’ passions and added ours, instead of the other way around? Gen Z is polarizing. This one excites and scares me the most. When studying the words or actions of these Parkland students, it’s easy to see amazing future fraternity & sorority presidents–as well as those who would be repulsed by our organizations, alienate members, or drop. Now more than ever, there is a need for positive role models in the fraternity & sorority experience. These students think they know all the answers, which can make us mad because they obviously don’t. But, what we’re failing to realize is they know a lot more than we give them credit for. We need people to harness their passion while guiding them through conflict. We need people they can learn from without feeling lectured. We need mentors beyond big brothers or sisters. Every day we seem to be losing role models in our larger society, creating even more of a need for them in our everyday life. How can seniors, alumni, and supportive peers change the way we view mentorship in our organizations? As we continue to observe Gen Z’s role in our nation’s path forward, it’s important to always be considering how it will impact the future of fraternity & sorority. We need to help show our future members the way—without getting in their way.